In Daniel 5 we are introduced to an amazing account in the life of Daniel and an extremely unfortunate end to a wicked king. Belshazzar takes the vessels of the temple, which his grandfather Nebuchadnezzar had taken, and uses them in a banquet for his nobles. God told Belshazzar you are weighed in the balances of my righteous judgment and have been found wanting. The word wanting means: “lacking or deficient.” We are shown clearly what Belshazzar was lacking in his life. Daniel 5:3, 4 shows that Belshazzar lacked respect for God. Daniel 5:23 says that Belshazzar did not glorify God. Daniel 5:22 shows Belshazzar lacked humility. In this article I want us to consider if we are lacking in our lives as God`s disciple. Will we be found wanting on the final day? If so what will we be found lacking or deficient of? 1) Will we be found deficient of Baptism? Do you think baptism is necessary for salvation? Are you delaying baptism? God`s word says a lot on baptism and what the reason for it is. In Acts 2:38 we are taught that we need baptism to be forgiven of our sins. Peter says “Be baptized for the remission of sins.” We are told that Christ is the Savior of the one body (his church) Eph. 5:23. The only way to get into the body of Christ is through baptism for the remission of sins (1 Cor. 12:13). It is clearly evident that baptism is needed in order to be saved from our sins. There is story about a girl who was considering being baptized. When her mother heard about it, she told the girl that if she would not obey the Gospel, she would get her the prom dress, she had been wanting. Sadly the girl decided to give into the mother’s offer. Shortly after that, she became deathly ill. The doctors informed her that her sickness was fatal. The mother was heartbroken. Knowing her daughter would soon die, she asked if there was anything she could do or get for her. The daughter replied, “Yes, you can you bring me that beautiful prom dress.” The mother went away confused,yet determined to fulfill her daughters last wish. When the mother returned with the dress, the daughter asked her to hold up the dress so she could see it. The daughter then said, “Mother that is the dress that cost me my soul.” How sad this story is, but without scriptural baptism we simply won`t make it to heaven. 2) Will we be found lacking zeal for God? In the world in which we live it is easy to find ourselves getting bored with things. We throw them aside and look for something else. It is sad to see many do this with God. At first, they are thrilled with the Lord, but slowly they begin to drift. The cares and affairs of this world choke the zeal for God away; Luke 8:14 And that which fell among thorns are they, which, when they have heard, go forth, and are choked with cares and riches and pleasures of this life, and bring no fruit to perfection. Peter tells us that the only way to be fruitful in the work of God is to be abounding in faith, virtue, knowledge, temperance, patience, godliness, brotherly kindness, charity. It takes a zeal for God and the gospel, to abound in our spiritual lives. To have zeal for God, is to have enthusiasm for Him. 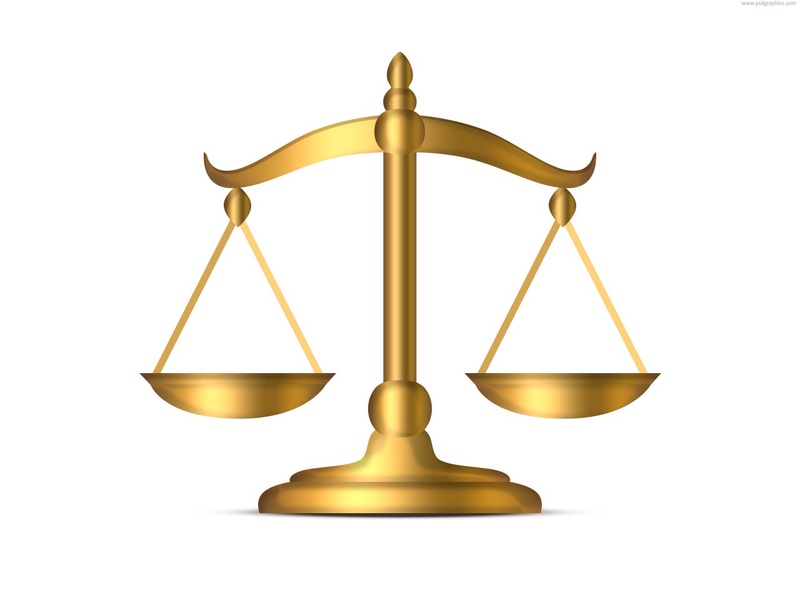 It is my hope and prayer that no one will be weighed in the balances and found wanting on judgment day. May God grant us the ability to see and correct the areas in which we are weak! ​Perhaps sitting in a coffee shop or taking a lunch break at work, you have encountered someone who was spiritual but not religious (also known as SBNR). This is a growing ideal among Americans who claim to be Christians. In July, 2014, Mark Oppenheimer of the New York Times wrote an article about the SBNR movement. Oppenheimer cited a 2012 survey from the Pew Religion and Public Life Project. 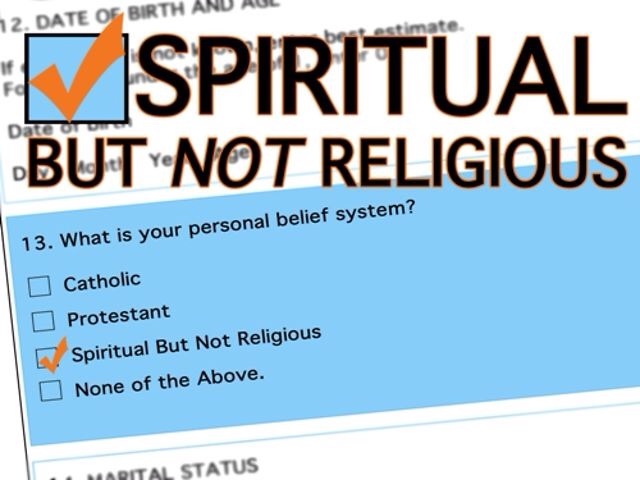 One-fifth of the survey population said they were not religiously affiliated, and 37% of that fraction stated they were SBNR. These numbers make it very likely that this author or you, the reader, will experience someone that claims to be SBNR before they die. What does the Bible say about the SBNR doctrine? Three important truths are learned from these passages, one from each passage. First, Jesus is the head of the church. He is not head of the “spiritually but not religious” people who hate the idea of a corporate body. If Jesus is the head and the church is His body, logic alone reveals that a person cannot have a relationship with His head without having a relationship with His body. The two come as a joint package. Second, Eph. 5:25-27 calls the church glorious while adding that Jesus died for the church. Did Jesus waste His blood on something useless so His acclaimed followers could be spiritual but not religious, having no identity with His blood bought institution? Third, Eph. 5:23 reveals that when Jesus comes back a second time to earth, the trip’s purpose will be to save His church, not the “spiritual” people who want nothing to do with His church. The bottom line is this: Jesus did not claim to be SBNR, so neither should we. ​There are many reasons why men and women choose to abandon their faith. One factor, a frustrated cynical view of prayer—and God, for that matter—is one of the most common reasons people leave the church. Many who made a commitment to serving the Lord and left, weren’t “sold” on prayer because they did not receive tangible results.Others assume God doesn’t answer prayer because bad things happen to them when they have done nothing wrong. ​If this is you, you are not the only one who has struggled with faith. We find the Apostle Thomas would not believe Jesus had risen until he felt all of his scars (Jn. 20:25). After feeling the scars and acknowledging he was with Christ, Jesus said in verse 29, “…Blessed are those who have not seen and yet have believed.” This is the faith Jesus desires for the Christian—a faith that doesn’t need physical evidence to accept the truth. Still, although evidences of God are “clearly visible” in creation (Romans 1), many seek more and more physical proof of God. The Pharisees were this way, too. According to Mark 8:11-12, the Pharisees came to Jesus “seeking a sign.” They didn’t get it. So, does prayer really work? And, if so, how? When some ask the first question, they are really asking, “Does God answer every prayer the way I want him to?” If the answer is “No,” then prayer, according to some, “does not work.” This is a carnal view of prayer. God owes you nothing. However, a spiritual view of prayer accepts when God answers, “No,” like Paul did in 2 Corinthians 12:7-9, because God’s grace is enough. Prayer does work, when we are faithful and ask for the right things, within his will (James 4:3). Jesus said God would give what we need (Matthew 7:7-11). God doesn’t have to make your life on earth perfect, and we shouldn’t define whether or not God is faithful based on the percentage of prayers in which he answers “yes.” If he did, what would be the benefit of having no pain, struggle, or sadness in Heaven? Instead, we should focus more on our own faithfulness, than God’s faithfulness to us (James 4:8-10). God didn’t answer, “Yes,” to his son, when Jesus prayed, “let this cup pass from me” so we wouldn’t have to endure eternal punishment. What more does he have left to prove?